WWF-New Zealand's vision is for a future where all New Zealand's native species thrive throughout their natural range. Many of New Zealand’s native species are unique to this country - including dolphins and fur seals, seabirds and land birds. Many are at risk of extinction because of habitat destruction, pollution, introduced predators and other human-induced threats. To achieve our vision, WWF campaigns for action to protect New Zealand’s endangered animals - like whales, sea lions, dolphins and seabirds - and funds community-based projects. We have joined forces with over 100 New Zealand communities to protect and restore habitats for native species. Through our Habitat Protection Fund (HPF), we fund a diverse mix of local projects, led and staffed by conservation-inspired locals. 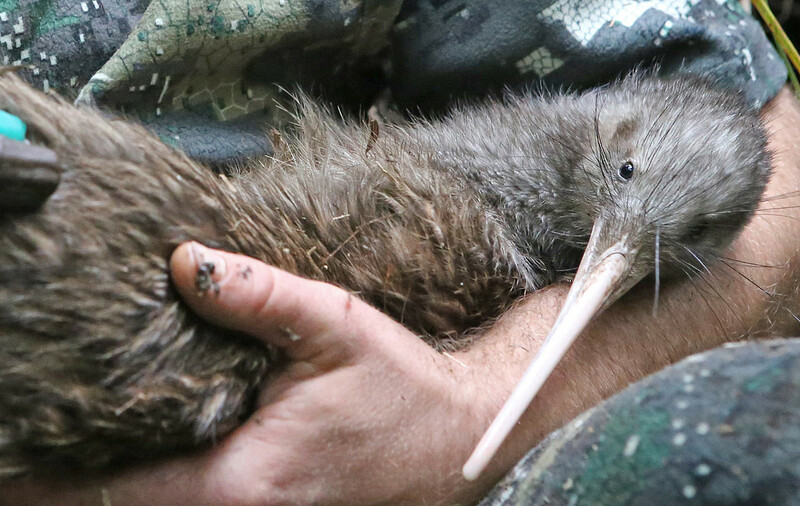 Projects range from protecting Kiwi in northland, to returning kōkako to their natural range in Taranaki, to restoring habitat for the endangered Canterbury mudfish. You can help WWF-New Zealand save our species in a number of ways. Become a supporter or make a purchase from our online shop and play a vital role in helping fund our conservation work. If you're a budding conservationist, you could start a project to protect the native species in your locality. You can apply for funding through WWF's Habitat Protection Fund.